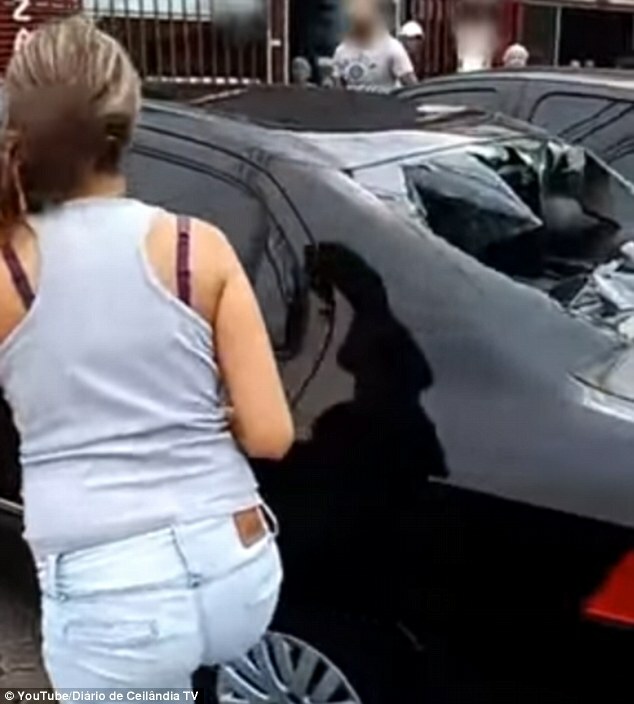 Last Saturday, this video was taken in Ceilandia, Brazil, of a woman destroying her partner’s car. The local news reports state that the woman found her partner having lunch with his alleged mistress at a restaurant, and upon seeing them together she went into a fit of rage and attacked his vehicle. 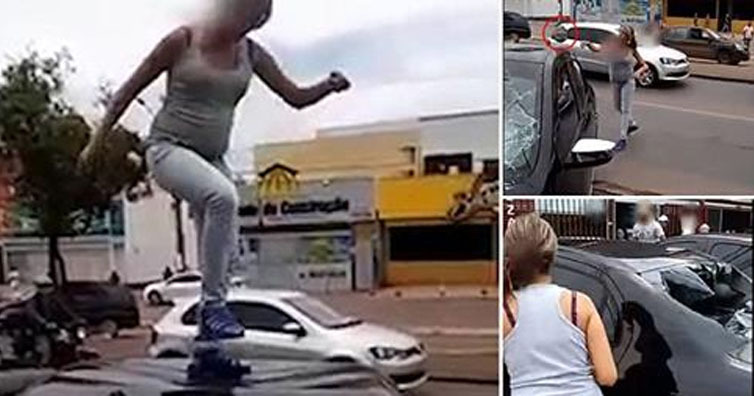 Angry Brazilian woman attacks her partner’s car after seeing him with another woman. The woman, who is unnamed at this point in time, is pregnant with her partner’s child. Her partner is also unnamed. 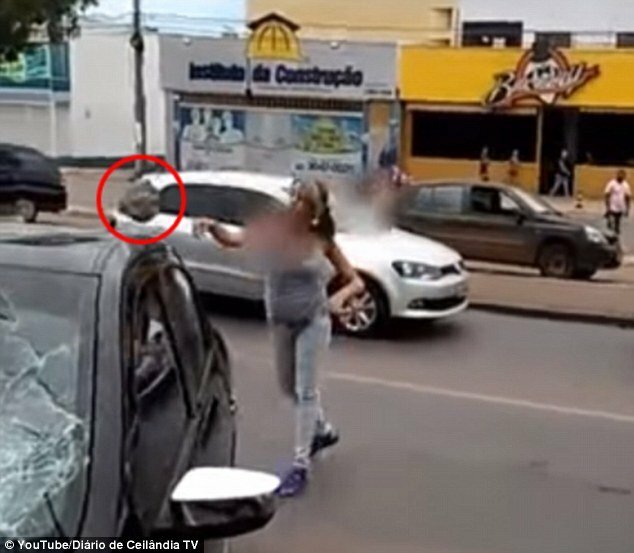 Before the camera could begin to record her, she had already beaten and battered the car to quite an extent. The footage you see is taken in the middle of her tantrum as she begins to really rough up his car. She smashed the windscreen of the vehicle and then proceeded to dent his roof in every way she could possibly think of. She beats on the car to such an extent she sets the alarm off, and then runs off for a few seconds, returning with a large rock. She then hurled the rock through the back window of the car and continued beating on the exterior in whatever place she could get her hands on. The woman throwing a rock through his car window. She was urged by bystanders to stop beating on the car out of fear that she would hurt herself, but she was so enraged nothing could stop her. The shattered glass underneath her hands seem to make no difference as it did not phase her one bit. As far as we know the police were not called during or after the incident occurred. Perhaps her partner felt he got what he deserved or perhaps he didn’t want to give the unnamed woman another reason to dismantle any more of his property.